In this blog Vladimir Krivtsov shares his very positive impressions of the recent SUDSnet conference, which he had the pleasure to attend at the end of August 2018. It took place at Coventry University, and was dedicated to the celebration of 15 years of SUDSnet’s existence. Figure 1. 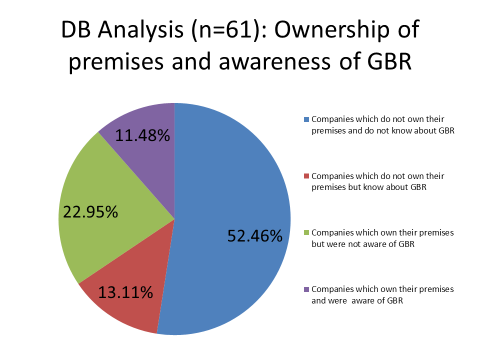 Awareness of General Binding Rules (GBR) regulating pollution prevention and ownership of the premises. It was reported that the majority of industry representatives have difficulties with terminology. Furthermore, about 75% of companies do not know about the General Binding Rules regulating pollution prevention and SuDS installation (Figure 1). There is a lot of confusion with understanding SuDS purpose, benefits and technology. There are also issues with maintenance, hence considerable scope for improvement! 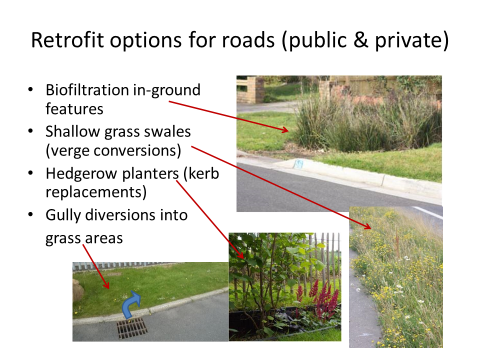 Figures 2 and 3 suggest some examples of specific SuDS features suitable for retrofitting into public roads and industrial premises respectively. These examples are from a study conducted by the Heriot-Watt team at Houston Industrial Estate (West Lothian, Scotland), but the results are expected to be applicable elsewhere in Britain and further afield. Figure 2. 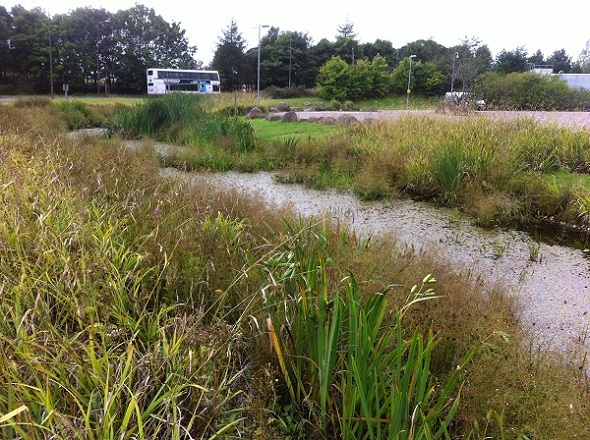 SuDS Retrofit options for roads at Houston Industrial Estate (West Lothian, Scotland). Figure 3. 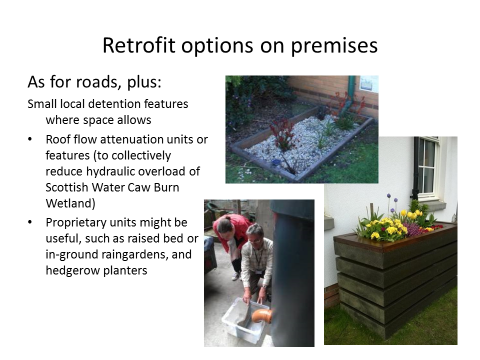 SuDS Retrofit options for industrial premises at Houston Industrial Estate (West Lothian, Scotland). Vladimir Krivtsov wrote this blog with contributions from the Heriot-Watt team (Scott Arthur and Brian D’Arcy). Read more about their work on the Urban Flood Resilience project in WP1. Resilience and WP2. Resource.